For many with limited mobility in and around Atlanta, a walk in tub can make bathing unassisted a reality. It’s often too challenging to step over the high wall of a conventional tub, and once inside, a minefield of safety hazards awaits – slippery floors, hard to reach faucets, and more. 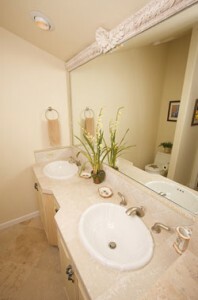 But a walkin tub can provide features that make bathing safe and convenient. For many of our Atlanta customers, the addition of a walk in bathtub has allowed them to regain freedom in their daily routines. Our walk in tub is designed with the safeguards in place that can give you not just the ability, but also the confidence you need to bath unassisted. Unlike typical bathtubs, our walk in tubs do not have high barriers to step over. Simply open the secure, leak-proof door and step inside. Each walk in tub features convenient grab bars, a contoured seat, an easy-to-access drainage system, and tub controls within easy reach. A walk in bathtub can provide more than just safety – it can provide relaxation and pain relief as well with the addition of therapeutic features. Aromatherapy, massaging water or air jets, and light therapy features can easily be added to our walk in tubs to bring relief and comfort to those suffering with conditions such as arthritis, back pain, poor circulation, and more. These features can create a therapy tub experience for bathers, and may even help alleviate symptoms of certain conditions. If you would like more information about our walk in tub products for your Atlanta home, contact us today. Our qualified team will guide you through the entire walkin tub process – from your first call to installation – ensuring that you are completely satisfied with your new tub. We look forward to telling you about our complete line of products, including walk in tubs and therapy tubs, to help you find the perfect choice for your household.